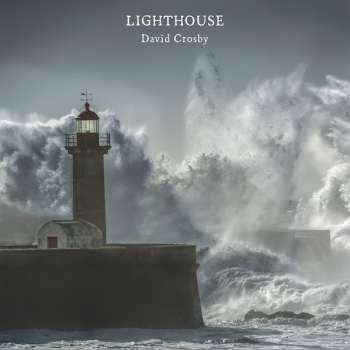 1 Enter for your chance to win some of the same gear Fab Dupont used to make David Crosby's newest record "Lighthouse"
Each winner will receive 1 of 5 prizes and a 1-year pureMix Pro Membership (worth $279). 2 Download the raw and mixed stems to the first single, "Things We Do For Love", and hear for yourself the delicate and sophisticated sonic quality of the record. Want unlimited access to 100s of advanced audio tutorials? "Lighthouse" is a very special sounding record because of the people involved and also because of the equipment used. The prizes in this giveaway are some of the pieces that made a difference in the making of the record’s sound. For every piece in the giveaway you can read Fab Dupont’s comments on why he chose that particular piece amongst the endless choices he had at Groove Masters Studios. "I always travel with an Apollo, you never know what might happen. Sure enough, at one point we were planning on overdubbing some electric guitars to create cool textures but we could not find any pedals or effects we liked in the studio. We used the Apollo as an effect units, plugging a 56’ Stratocaster straight into the DI input and using the real-time UAD plugins to create the phasing, distortion, delays and reverbs we needed to craft the sounds we were looking for. It was great to be able to save full effects chains and to recall them from song to song too. In the end, all electric guitars on ‘Lighthouse’ were tracked through my Apollo"
"I no longer track vocals without a Dangerous Compressor in the path. For David’s voice I fed the Lauten Eden mic into a Neve 31102 preamp (with no EQ) into the Dangerous Compressor in dual mono mode, using one side as a compressor and one side as a limiter. It’s totally transparent and let’s me never worry about dynamics in the tracking process. I also used the Dangerous Compressor as my 2Bus Compressor while mixing the record. It kept levels in check and allowed me to keep everything very modern and present with zero artifacts, loss of energy or coloration. It is has become my favorite 2Bus compressor for those reasons"
"The first morning of the tracking session I spent time listening to the room’s built in monitoring systems and to David Crosby’s faved late 80s Tannoy/Manley ML10s passive monitors but I just could not wrap my head around what I was hearing. I had some Focal Solo6s brought in and it allowed me to track with the confidence that what I heard was what I got. We A/B-ed between the Focals and the Tannoys for a while so David could understand what was going on but by the second day we used the Focals exclusively. They are a true reference monitor"
"Groove Masters had an incredible amount of expensive vintage mics, including David’s favorite U47 and more Elam 251s that any human being could imagine seeing in the same room. I put up the Lauten Eden to see how it would hold up and David chose it over all the other mics we tried. He ended up declaring it was the best vocal sound he got in his entire career." "We tracked the whole record, from scratch, all in Pro Tools HD12 in 10 days, using various computers and systems and migrating sessions between them without a hitch. The advanced playlisting and track grouping functionalities make it easy to move very quickly even in a high pressure environment. We mixed all the songs over 5 days back at Flux Studio in NYC on my Pro Tools HDX rig. The Pro Tools Dock and the Pro Tools Control iPad app are great to regain the tactile feel of mixing we all lost when switching to computer based recording workflows. They save a lot of scrolling time and a lot of clicking around too"
pureMix Pro Membership gives you access to every pureMix tutorial. Learn how to record, mix and master from Grammy winning producers and engineers. Pick up their tips and techniques and apply them to your own tracks. Plus Pro Members get access to exclusive mixing contests and discounts from major manufacturers!